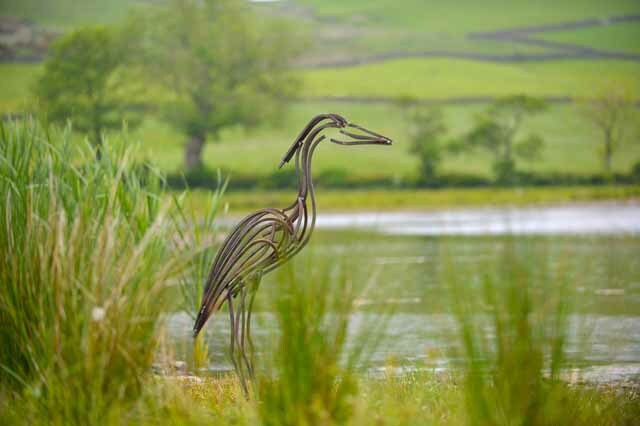 I was looking through the latest edition of the Garden Design Journal last week and came across the work of Andrew Kay who hand crafts the most amazing metal animal sculptures. 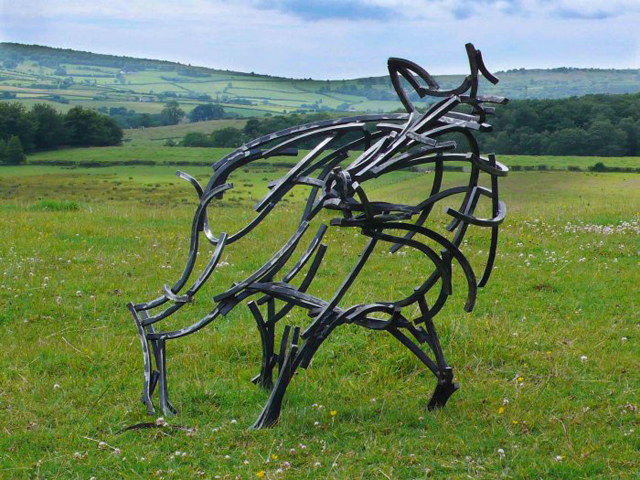 Based in Cumbria, Andrew takes the inspiration for his life-size sculptures from his surroundings. 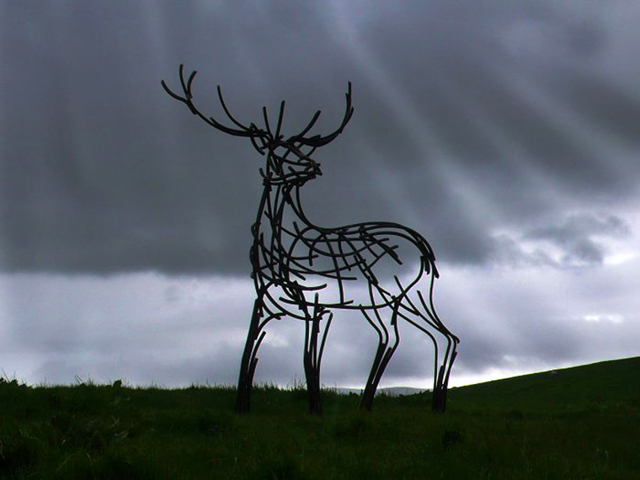 This wonderful majestic stag looks very dramatic against the moody sky. 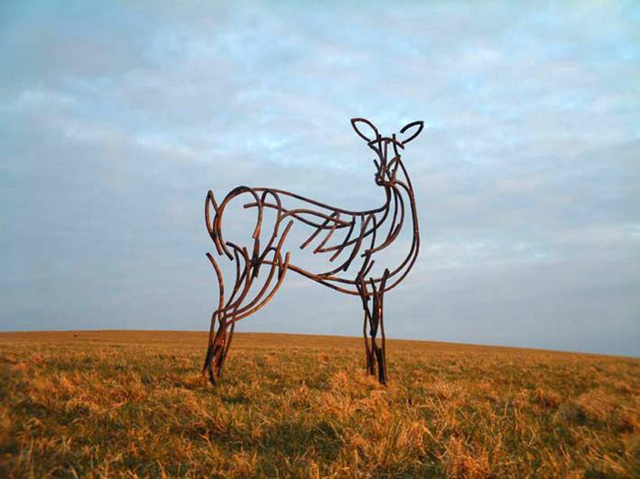 When Andrew works on a new commission he starts with a life-size sketch of the subject and then models each element of the sculpture based on this initial drawing. 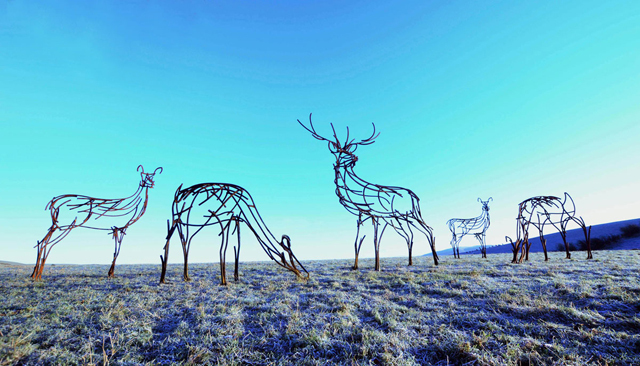 There’s a fabulous film showing the making of the stag which I urge you to take a look at. 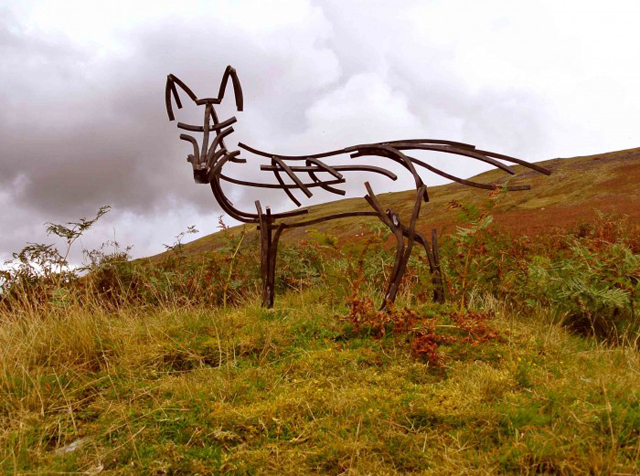 You’ll also find some more pictures of his work there too. 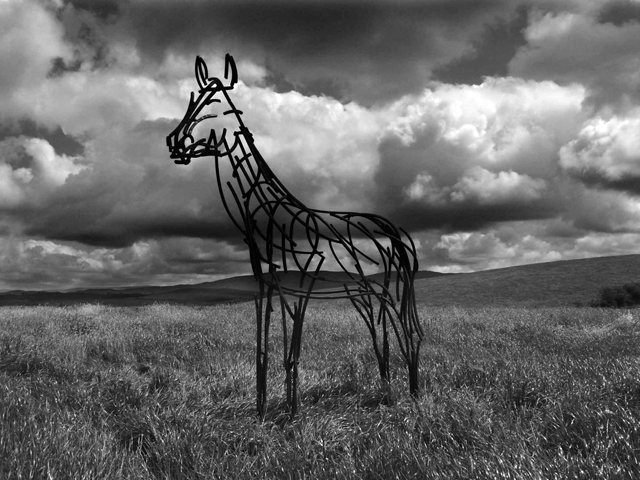 I love the simplicity of Andrew’s work – he manages to capture the creature’s personality with the fewest of lines. 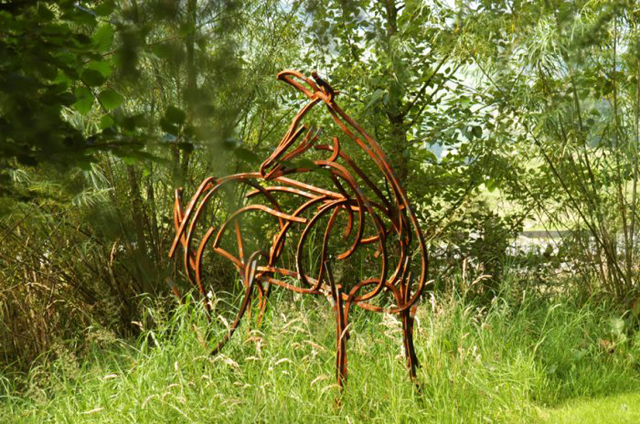 Andrew has been commissioned by private and commercial clients such as English Heritage and the National Trust and has supplied his sculptures across the UK, Europe and the USA. 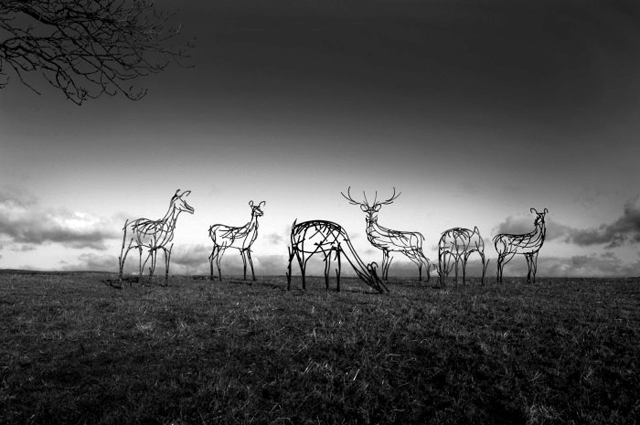 If you’re going to be in Yorkshire over the coming months, you might be interested to know that Andrew is exhibiting his work at various National Trust properties between now and the end of February next year. 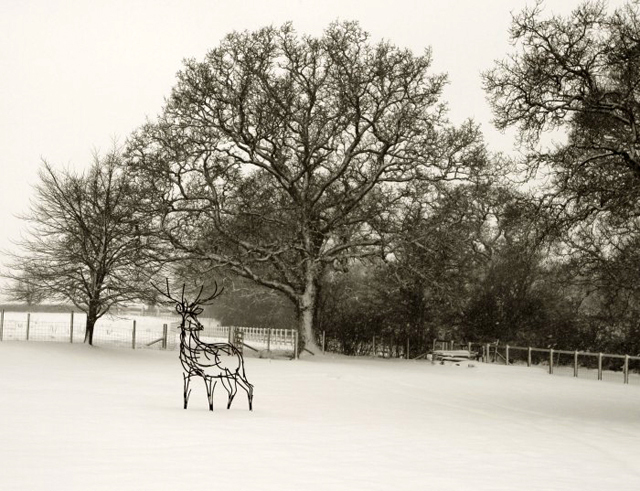 These are Goddards (14th August – 20th October 2013), Treasurers House in York (26th October -3rd November) and Beningborough Hall & Gardens (9th November 2013 – 23rd February 2014).